As Indian publishers gradually take to eBooks, they will have to contend with the question of how these eBooks should be priced. In the mature markets of the West, there is still no consensus on this issue. Amazon prices its books starting at $1.99 and going up to $9.99 but how much they, or the publishers they represented, were making from the transaction is anyone’s guess. It is widely accepted that in many cases, Amazon was using its eBook catalogue as loss leaders, especially to enhance sales of its e-Reader, the Kindle. For now, many publishers have priced their books on par with their printed editions. Given the perception that electronic versions of books do not invoke many of the overheads that printed copies do (like storage, transportation, even the cost of an additional copy), the pressure to review this practice and reduce the cost of an eBook when compared to its print edition will soon be large. So what must an eBook cost? While we do not have the answers, there are certain factors that must be considered. The price must cover costs: Contrary to public perception, eBooks do cost money to make, especially if these eBooks are produced for back lists, which is often the case. It isn’t enough to produce an electronic version of the text, the quality of the presentation of that text is equally important and costs time and money. The “conversion” process from raw text to a format that e-Readers can understand is equally time-consuming and expensive. Similarly, there is a cost involved in the storage of these electronic files, the e-commerce infrastructure required to facilitate the sale of eBooks and their dissemination to the buyer’s reading device. If publishers decide to opt to “DRM their books”, that too costs money. The price of the book must therefore reflect all these costs. The price must “make sense” to the buyer: Even while there are expenditures that must be recouped, the price of an eBook should satisfy the buyer’s sense of value for money. The current perception of many buyers, fueled by the almost intangibility of the eBook, is that eBooks should cost next to nothing. 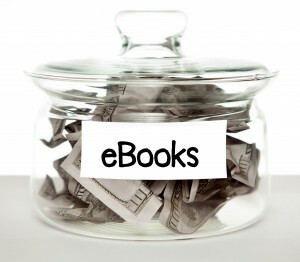 Pricing eBooks on par with their printed editions may therefore not cut it with buyers. Publishers could change that perception by offering more, but given that any extras also cost money, that might be a risky game to play. The price must trigger a purchase: Ultimately, the price must entice a buyer to purchase the book, whether on impulse or otherwise. Currently there is indication that a low price will do that. In the West, there is general agreement that anything below a $5.00 threshold will increase the chances of an impulse purchase. Given that e-Commerce is only taking off here in India (and that too primarily on a cash-on-delivery model), one can only hazard a guess on what such a threshold might be in India. The price must reflect the brand: Like some publishers price their printed books very high to convey a brand value, perhaps they could try to do the same thing with eBooks. Joe Wiekert, of Tools of Change, argues that the recent practice of agency pricing might do more harm than good and dilute the brand of a publishing house. Publishers should have the liberty to experiment with pricing and understand the mood of the market. Pricing must be a part of a larger strategy: Ultimately the price of an eBook must reflect a larger strategy of the publisher. The price of the book might vary depending on whether the eBook is sold alone or is bundled with the print version, on whether the eBook is being used to hook the buyer to new reading habits or on whether the eBook is a part of a larger, penetration strategy where it is being used to reach to new readers and geographies. This the publisher alone can decide. As the excitement over eBooks continues to build and more publishers develop their titles as eBooks the question of how to price them will be an important one. Moreover, it will set user expectations regarding what should the price of an eBook be. Many publishers will argue that the prices of printed books hasn’t changed much over the last few decades and there is much resistance from the market against adjusting the cover price of books to even adjust for inflation. One hopes that in the case of eBooks, the story is different. Disclaimer: Our publishing house, CinnamonTeal Publishing, provides conversion services into EPUB and MOBI formats, especially for books in the Indian languages. Similarly we provide an e-commerce infrastructure that allows for the sale of these books. That said, we still do not know which side of the pricing debate we are on.